Can we fix it? Yes, we can! 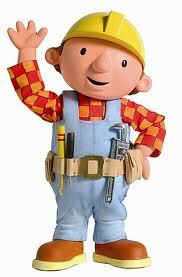 Up until Saturday, I thought it was Barack Obama that coined this phrase… but I now know it is in fact Bob the Builder!! 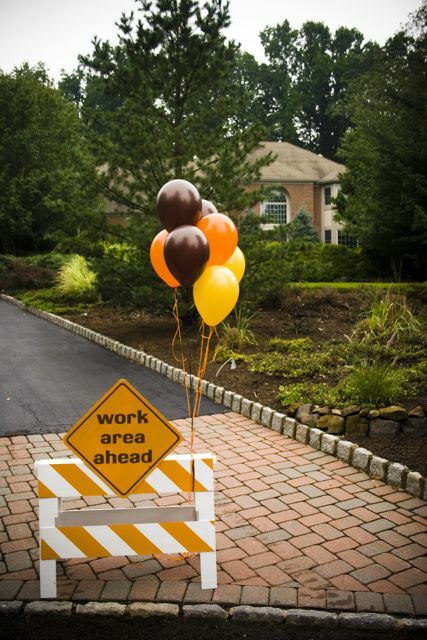 We attended a lovely party of this “construction” theme for a 2 year old little boy. Having only a little girl, I hadn’t yet thought about the options of this type of theme, but there are so many things one can do with this theme and I thought I’d explore some of the things we enjoyed at this party, as well as some of my own ideas from the research I’ve since done. INVITATIONS: Invitations always set the theme of the party. Use pictures that represent construction vehicles or tools. Add a photo of the birthday boy with hard hat. Use clever wording that brings in the theme, like “construction site” instead of address, and “shift” instead of time. Make sure to let the guests know if you’ like them to dress up, or dress in certain colours – we all had to dress in denim and yellow/orange. DECOR: Think about what colours would go with the theme. For this one yellow, orange and brown would work well. Make some colourful bunting using cheap fabric in these colours. Find some construction tape in red/white or yellow/black to cordon off areas. Some orange cones also make great accessories. Use hard hats or cheap plastic construction trucks as your bowls to serve snacks in. You could also get kiddies plastic tools to scatter around the table or use for party favours. FOOD and CAKE: Some shops sell sweets in the shape of tools which would be a great thing to add to the table or party packs. 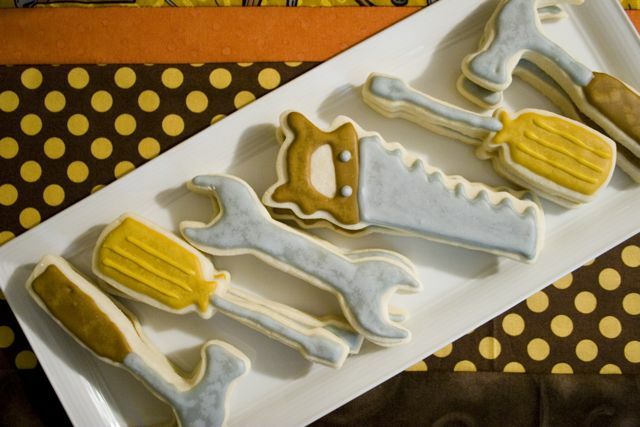 You could also get someone to make some tool shaped biscuits to match the theme. For the cake, a home made cake would work perfectly well and the icing can be the cement and either slices of cake as bricks, or if you ice the cake first and then add a “wall” made of chocolate blocks with icing in between in another colour for cement. ACTIVITIES: Since you are only catering for 2 year olds, there doesn’t have to be too many planned activities as free play is always welcomed at this age. 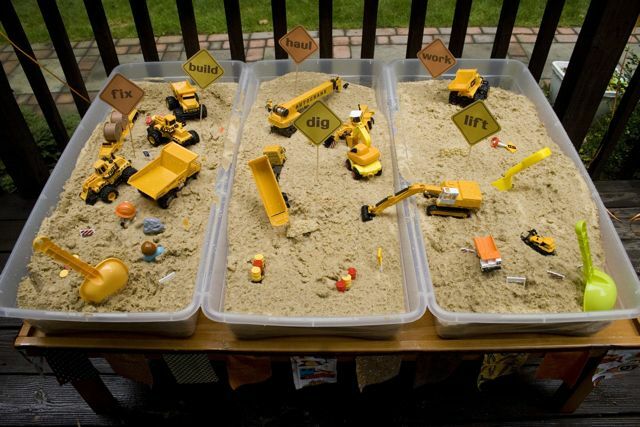 A sandpit makes a great place for fun with construction vehicles and buckets and spades. You could also leave out some big wooden blocks or lego in a defined play area for the kids to build with. What I loved about the party we attended was that there was “story time” where the dad read some short stories from a Bob the Builder book and the kids sat and listened intently!